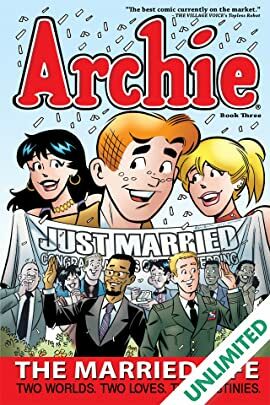 This Graphic Novel contains OVER 300 PAGES of content from the critically-applauded Life With Archie Magazine, including the historic marriage of Kevin Keller! 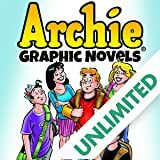 The third volume of Archie's highly acclaimed graphic novel series features Paul Kupperberg's tight-knit ongoing romantic storyline of Archie as a young newlywed in two very different universes--one where he marries wealthy socialite Veronica Lodge and the other where he marries girl-next-door Betty Cooper. 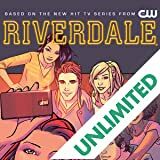 In this volume, things really start getting interesting, as the mysterious Dilton Doiley subplots that have been bubbling just below the surface since the series' beginning start to affect... well, everything! 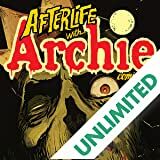 Nothing is ever simple for Archie Andrews! In the Archie Marries Veronica storyline, the title relationship is facing some serious struggles. 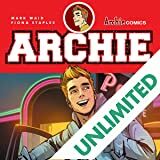 On the Archie Marries Betty side, Archie's trying to juggle more than his share of responsibilities... And in both storylines, Dilton and Ambrose are bringing some shocking, reality-shaking revelations to light that affect everyone in Riverdale... and possibly the world. 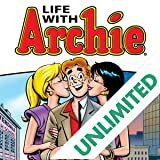 Features the marriage of Kevin Keller which sold out its first printing in the Eisner-nominated Life with Archie Magazine #16.